This weeks “Health and Fitness” theme on the Blog Tag is one that is quite close to my heart. If you’ve been following my blog then you will know that I started writing my blog at the beginning of this year about Anticancer. My mom getting sick has made me very aware of the impact of diet and stress on your body. We do not know for certain what caused her cancer but I do believe that maintaining a healthier lifestyle and a less stressful life can reduce the possibility of disease in the body. Based on all the research I did I was keen to share the information I found including ways to lead a healthier lifestyle through nutrition. Over the last year I have also made changes in our home and my lifestyle. This includes healthier food choices such as eating more real foods and less processed foods and replacing the types of products that we use with better alternatives. Stop buying low fat and fat free foods. The additives that are used in these “foods” are not considered real. Life seems to be getting shorter and shorter every day. So why not live this life in the best way possible with a healthier mind and body, thinking about the foods we put in our mouth and the way we live our life. What are your thoughts on this topic? I’d love to hear your comments. Great suggestions for everyone! Thank you! Yes totally agree, every small change counts! Hi Britt, thanks for reading and for commenting. I shall check out your blog. When my step father’s cancer came back, we had to change our entire diet (Not that we were unhealthy before that, but afterwards we were VERY conscious of what we ate), and what I actually noticed, was once you start eating healthy, your body kind of stops craving all the things that are bad for you. And even now, after he’s passed away, we still keep to the healthy diet by choice! It’s sad that it takes this terrible disease to affect our loved ones to teach us more about life and leading a healthier lifestyle. WOw an eye opener. I’m struggling to get active but your post is truly inspiring. I bought a NutriBullet so I’ve got the juicing happening …but only sometimes. I will read your juicing post for some tips as well. 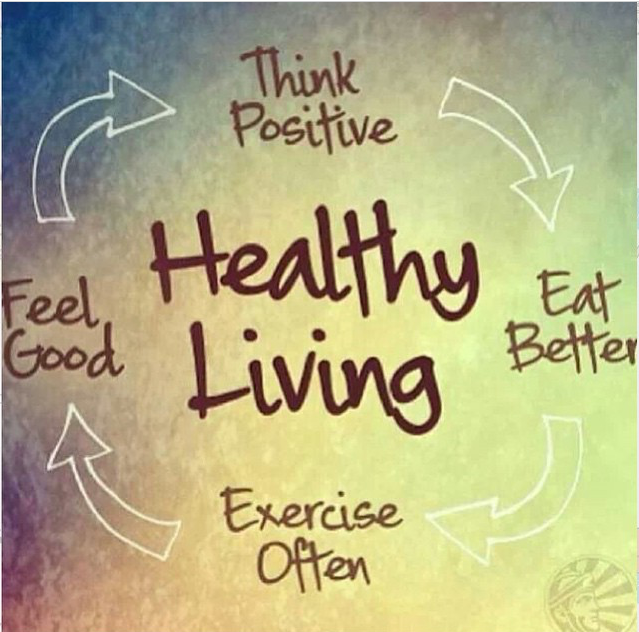 Healthy food and exercise are so important to us! I also try to stay fit and healthy and sometimes even small changes can make a big difference! Hi Miriam, thanks for stopping by 🙂 Yip completely agree! Oh no, hope everything went alright with your surgery and that you’re recovering well. Thank you, yes everything went well with my surgery.I am actually healing quite well. I love your page, I am always looking for ways to be healthy. Hi there, thank you! Thanks for reading and stopping by. I had a quick peek at your blog. You’re an inspiration, it sounds like you’ve been through a lot. I shall have a proper read when I get a chance. Yes thank you for reading, I am. Life is so good, I would never think I’ll be doing what I do today. Great blog, im a follower! I think your definitely on the right track to health and happiness, very sorry to hear about your mother, its always these big impacts in life which make you see the light and the need for change in diet and lifestyle. For me personally i became very ill, i found western medicine and doctors were’nt really doing much for me, but by adopting a new lifestyle and sticking to it for months and months i finally saw myself recover and heal, now i’ve never felt better. Im writing more and more articles on health/fitness i hope if any they are useful to you and your new lifestyle! Hi there! Thanks for following and checking out my blog 😊 I will definitely check out your blog. Glad to hear that your new lifestyle is helping you heal and recover. Great Post! I also just wrote a health article. Hi there, thanks for reading and taking an interest in my blog. I shall check out your blog too! Loved it especially th quote at the end.